The Department of National Parks and Wildlife (DNPW) looks Zambia’s wildlife in the second largest proportion of land under protected status in Southern Africa – approximately 225,000 sq km. These 20 National Parks and 34 GMAs amount to almost a third of the Country’s total land area. 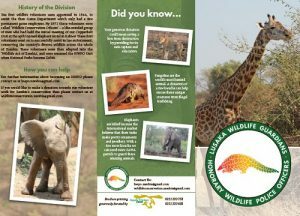 The DNPW’s function is to conserve Zambia’s precious and unique wildlife and the habits in which they live. The Department, under the Ministry of Tourism and Arts, replaced the Zambia Wildlife Authority on 1st January 2016. 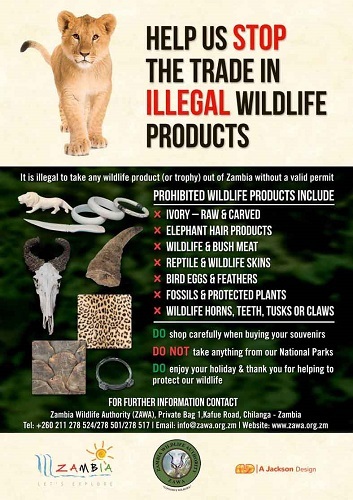 It is governed under the Zambia Wildlife Act 2015. Under the Act, ownership of every wild animal in Zambia is vested in the President on behalf of the Republic. If you are thinking of buying and keeping any wild bird or animal – a pet parrot, tortoise, some ornamental antelope for your garden or you are interested in having your own game farm – then you will need to apply for a Certificate of Ownership, which has to be renewed on a yearly basis by the DNPW. The Honorary Wildlife Police Officer Unit (HWPO) is the volunteer division of the DNPW. HWPOs are volunteers from all walks of life who are passionate about wildlife. As volunteers no one gets paid for their time, but instead they have the satisfaction of knowing that their actions are helping to conserve Zambia’s wildlife. Any Zambian Citizen or Resident over the age of 18, who has not been convicted of a crime, can apply to serve in the area in which they live. HWPOs come from a wide range of backgrounds and professions from across Zambia and applicants do not require to have any formal education, but do need plenty of enthusiasm to get involved. The division is governed under the Zambia Wildlife Act 2015. Under the Act an HWPO is just as empowered as their fellow Wildlife Police Officer who is employed by the DNPW. The Division has strict admittance and disciplinary procedures. Each Region has its own HWPO Unit who actively participate alongside their fellow DNPW Officers in joint projects and operations. These Regional Units report directly to the HWPO National Executive Committee who in turn reports directly to the DNPW Chilanga. The Fundraising Unit is called ‘Lusaka Wildlife Guardians’ which is a non-profit company limited by guarantee, registered in Zambia. This volunteer Division started in 1944. 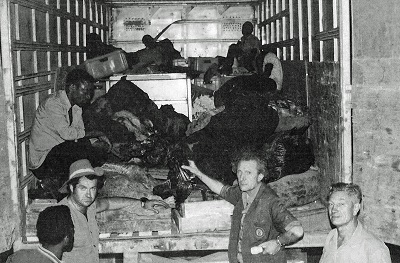 Thirty-five volunteers were appointed as the first ‘Honorary Game Rangers’ to assist the then small Game Department, with law enforcement and animal conflict control activities. 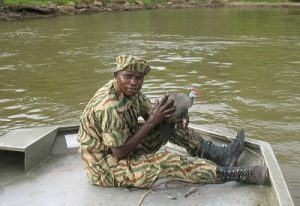 Under National Parks and the Wildlife Services of Zambia, the volunteers were called ‘Wildlife Conservation Officers’. The Copperbelt is one of the oldest Units and their first meeting was at the aptly named Elephant Hotel in Kabwe in 1972 where the ‘Honorary Wildlife Rangers’ Unit was formed. This Unit was then adopted under the Wildlife Act of Zambia and when National Parks became the Zambia Wildlife Authority, the volunteers were renamed Honorary Wildlife Police Officers. Over 70 years later, the DNPW’s Volunteer Division still provides law enforcement assistance, along with education and public awareness campaigns, providing technical advice and additional resource assistance across the Country whenever needed. The Lusaka Unit volunteers closely with the DNPW Chilanga and assists with a variety of projects and activities for Lusaka National Park which include animal welfare, park development and technical assistance. 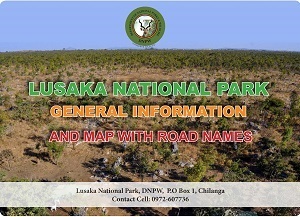 For instance in 2016 the Unit teamed up with the Wildlife Producers Association of Zambia to produce the Visitor’s Map for the Park to help increase local tourism. The HWPOs organise monthly food donations for the rhino and Park’s wildlife and have they set up a joint Facebook Page to increase awareness for the Park. The Lusaka Conservation & Public Awareness Unit is working alongside Birdwatch Zambia on an illegal bird trade project. They produced a flyer to inform the general public about the harm this trade causes to birds in the wild and are cooperating on new ideas on how to stop this illegal trade. The Lusaka Law Enforcement Unit helps with Regional DNPW operations with patrols and logistical support, often working closely alongside other Government agencies on activities such as road blocks. 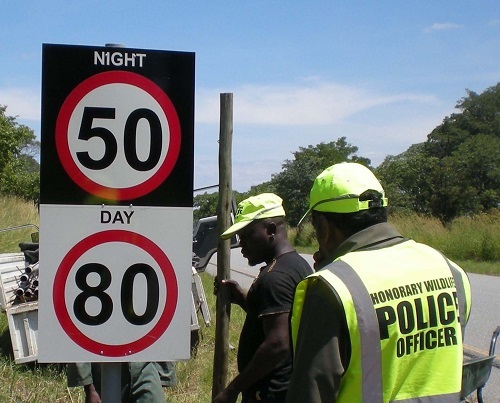 After volunteering in Kafue National Park the Unit was instrumental in the installation of new speed signs along the M9 in the Park to help raise awareness about the many animals that are killed each year by speeding vehicles. The Unit also conducts operations in Lower Zambezi National Park, chatting with fishermen about net sizes; and in Blue Lagoon National Park, providing rations for Wildlife Police Officer patrols and Park vehicle maintenance. Our team volunteers closely with the HWPO Lusaka Unit. We have assisted on several activities and projects and are looking at new ways in which we can help in the future, especially with public awareness and education projects.